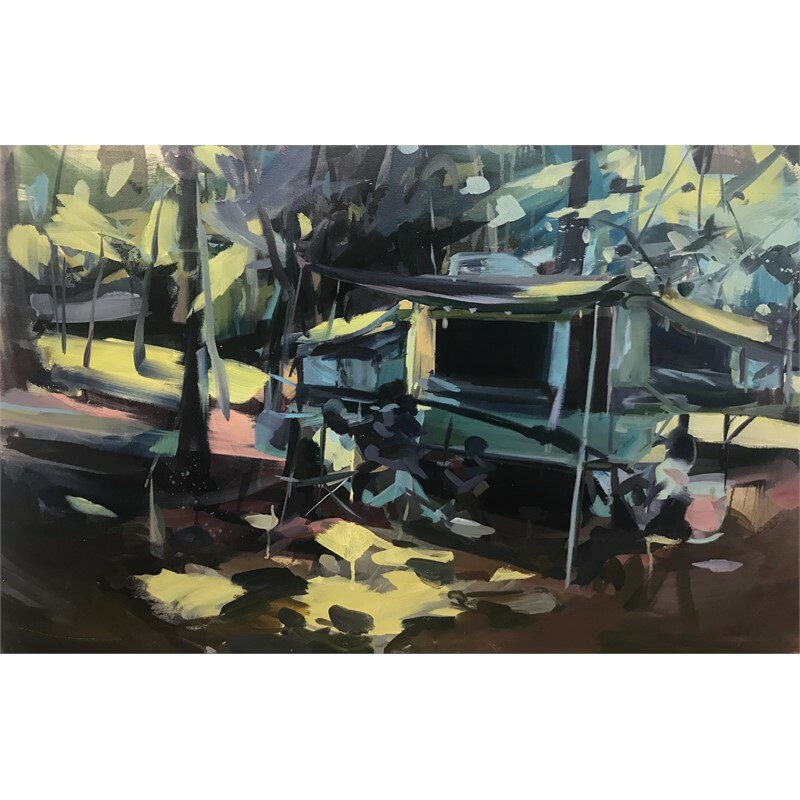 Ideas about escapism, adventure, and humans’ relationship with nature are explored in paintings created through plein air painting and a synthesis of memory and photography. Although some paintings place sole emphasis on the landscape itself, indications of human activity are often present. Figures move through forests and viewers are forced to make their way through overgrown paths. Particular structures within the landscape allude to impermanence or more specific interactions with the environment. As a Maine native, traveler, and avid hiker, the spirit of searching and exploring parallels my painting process. Reinventing, pursuing solutions, and discovering the scope of paint’s material capacity becomes as important as my subject matter. 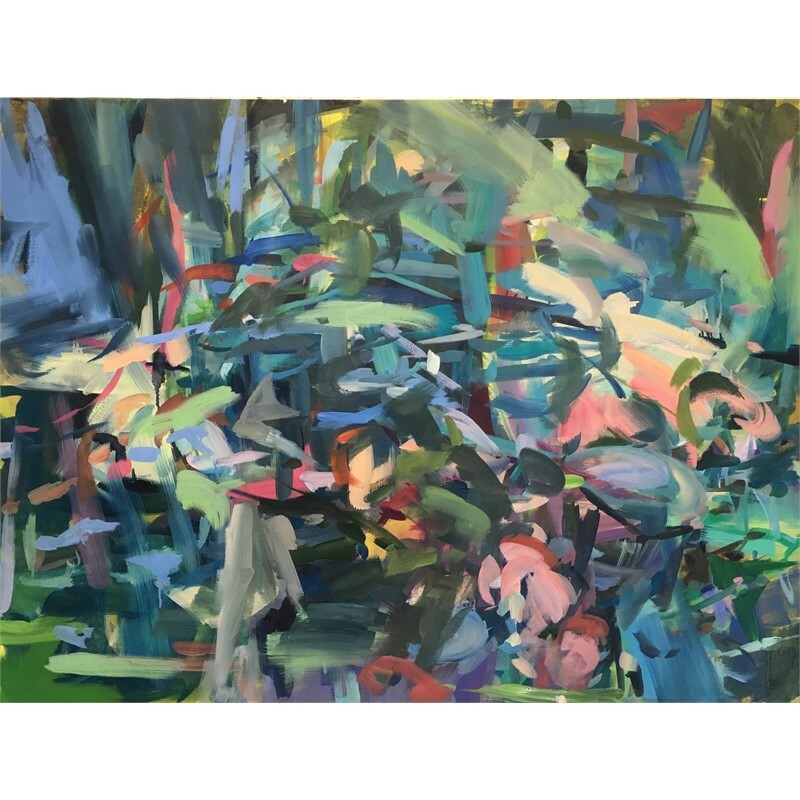 Allowing myself to get a “little lost in the woods” as I teeter on the edge of abstraction and representation or “adventure on new paths” whilst conceding to unfamiliar methods, makes the process of creating each painting a unique quest. Ultimately the paintings become not only a reflection of my inner restlessness and my longing to reconnect with nature but also a record of my incessant investigation of the painting process. Vanessa Michalak grew up in Maine before relocating to Boston, MA where she lived and worked for over a decade. She earned her MFA from the School of the Museum of Fine Arts with a concentration in painting and her BSN in nursing from the University of Maine in Orono. She was awarded the Massachusetts Cultural Council Fellowship in Painting in 2014 and her work was included in New American Paintings #110. Her work has been included in numerous exhibitions including the MFA National Competition, Juried by Asya Geisberg, First Street Gallery, New York, NY. She has also participated in numerous residencies, most notably, Anderson Ranch Arts Center in Snowmass Village, CO and PLAYA, in Summer Lake, Oregon. In 2016 she was the emerging artist in residence at Penn State, Altoona for Spring semester. She currently lives and works in Gloucester, MA where she is delving into the history of plein air painting. 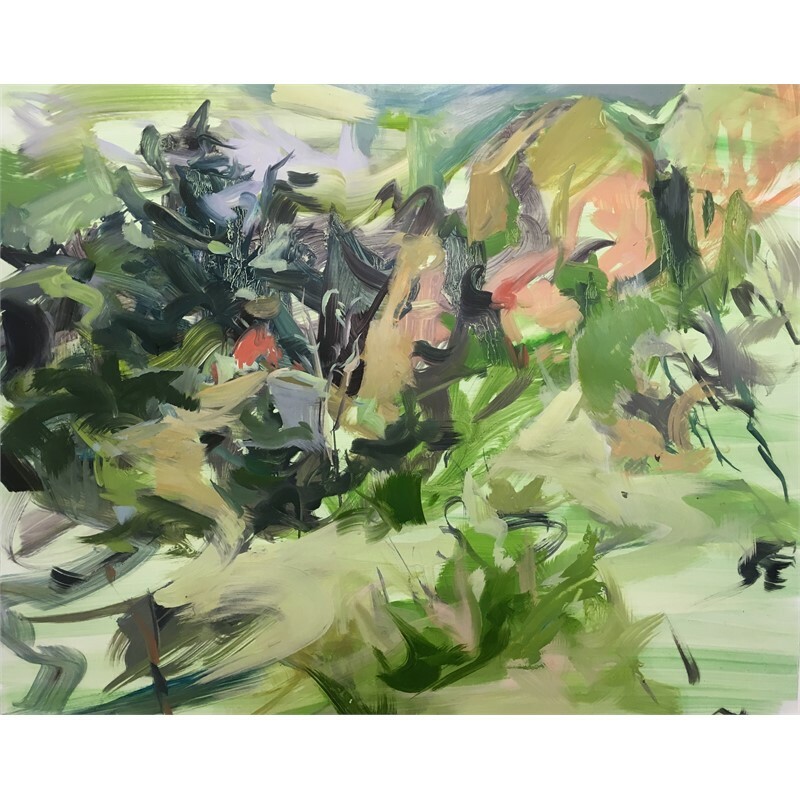 Ideas about escapism, adventure, and humans’ relationship with nature are explored in paintings created through plein air painting and a synthesis of memory and photography. Although some paintings place sole emphasis on the landscape itself, indications of human activity are often present. Figures move through forests and viewers are forced to make their way through overgrown paths. Particular structures within the landscape allude to impermanence or more specific interactions with the environment. As a Maine native, traveler, and avid hiker, the spirit of searching and exploring parallels my painting process. Reinventing, pursuing solutions, and discovering the scope of paint’s material capacity becomes as important as my subject matter. 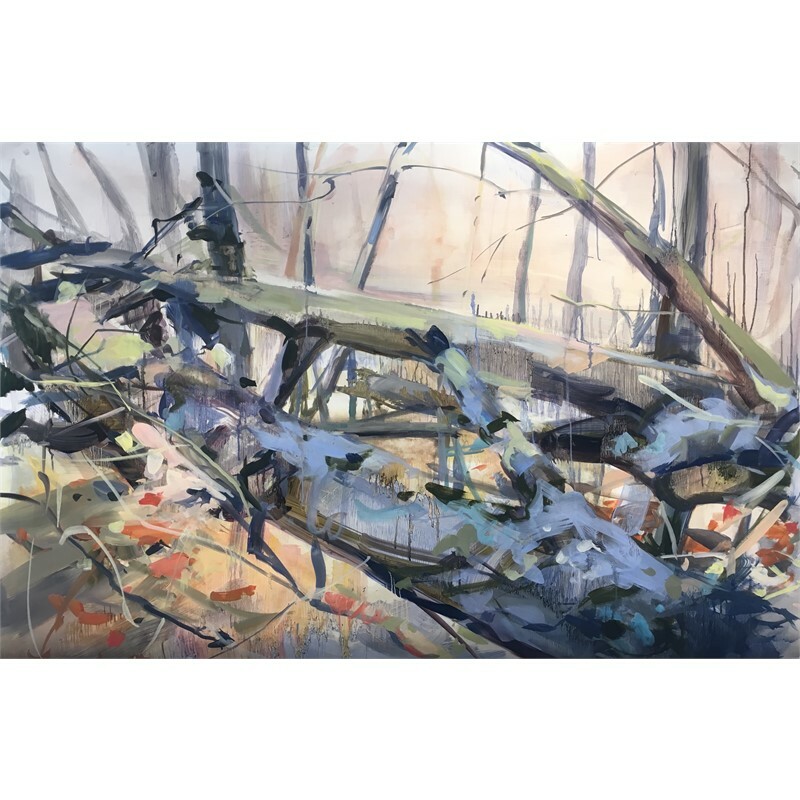 Allowing myself to get a “little lost in the woods” as I teeter on the edge of abstraction and representation or “adventure on new paths” whilst conceding to unfamiliar methods, makes the process of creating each painting a unique quest. Ultimately the paintings become not only a reflection of my inner restlessness and my longing to reconnect with nature but also a record of my incessant investigation of the painting process. Vanessa Michalak grew up in Maine before relocating to Boston, MA where she lived and worked for over a decade. She earned her MFA from the School of the Museum of Fine Arts with a concentration in painting and her BSN in nursing from the University of Maine in Orono. She was awarded the Massachusetts Cultural Council Fellowship in Painting in 2014 and her work was included in New American Paintings #110. Her work has been included in numerous exhibitions including the MFA National Competition, Juried by Asya Geisberg, First Street Gallery, New York, NY. She has also participated in numerous residencies, most notably, Anderson Ranch Arts Center in Snowmass Village, CO and PLAYA, in Summer Lake, Oregon. In 2016 she was the emerging artist in residence at Penn State, Altoona for Spring semester. 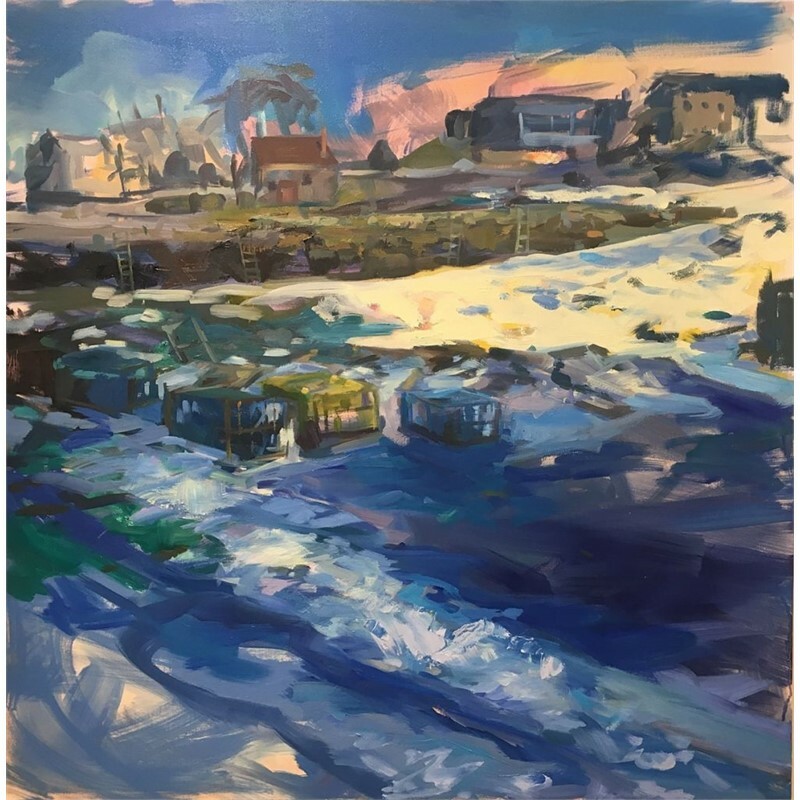 She currently lives and works in Gloucester, MA where she is delving into the history of plein air painting.